Take the product tour to learn about how Compass can streamline your program and help you hit your savings targets! 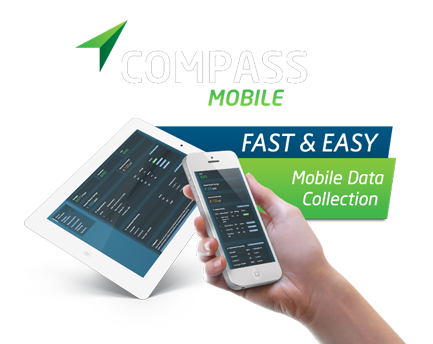 Compass has a built-in data collection application, Surveyor, that can be used to track installed improvements with deemed or modeled energy savings for Direct Install or Single Measure Programs. Service providers can create engaging reports for homeowners with a record of installed improvements and predicted energy savings. Compass’s powerful analysis engine and user-friendly interface allows program administrators and home performance specialists to quickly and accurately provide a comprehensive view of a home, or building’s, energy impact. Compass streamlines the administrative process with sophisticated workflow & incentive tracking, stakeholder management, and program level reporting. Compass has informative benchmarking reports that make it quick and easy to spot underperforming buildings and malfunctioning equipment. Compass is fully integrated with EPA’s Portfolio Manager (PM) via a well-established API connection. With workflow management and post-retrofit savings tracking, Compass can help you manage a Building Performance with Energy Star Program from end-to-end. Compass adjusts interval meter data to account for local weather and changes in building conditions so that you, or your customers, can accurately track energy savings from energy efficient behavioral initiatives and building retrofits in near real-time.